Whereas most domestic flights allow each passenger two pieces of checked luggage, and one small carry-on, today my metaphorical baggage feels slightly over the limit. Something like this, in fact. It is a tired cliche that the useless, outgrown thoughts we lug around in our head to no good purpose are called (in pop psychobabble terms, anyway) "baggage". But it is an apt metaphor. Do you ever wish you could unscrew your head from your neck, shake out the contents and scrub the whole thing out with a little of this? Today I do. I'm tired of hearing myself think. I am torn between wanting to A) slice my chest cavity open to pull back the ribcage, spilling my guts out all over the floor or B) suit up in full-body Kevlar. Or one of these. Hence the boring, vague post. For someone who aspires to be a writer, self-revelation doesn't come easy. There's always the possibility that my (again, metaphorical) guts will not clean up so well, won't fit back into my chest cavity once liberated, or will make everyone in the room gag. And yet the alternative, the Kevlar option, doesn't leave much room for movement. 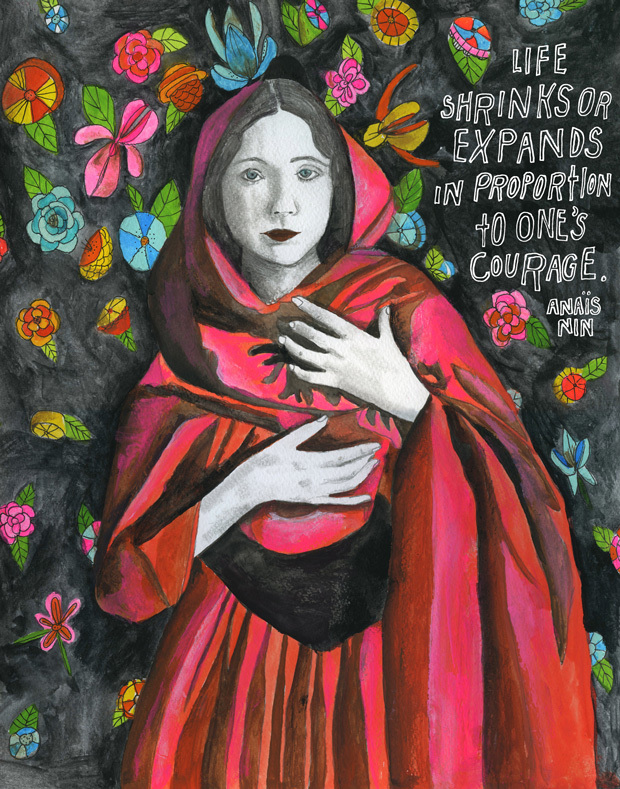 Anais Nin encapsulated this conflict much more eloquently when she wrote, "And the day came when the risk to remain tight in a bud was more painful than the risk it took to blossom."